Since it began in 2011, the conflict in Syria has devastated the lives of millions of men, women and children. Fearing violence and persecution, families have fled their homes to seek safety in other countries in the region and around the globe. Many crossed the border into neighbouring Lebanon. Few would have expected to find themselves forced into slavery. 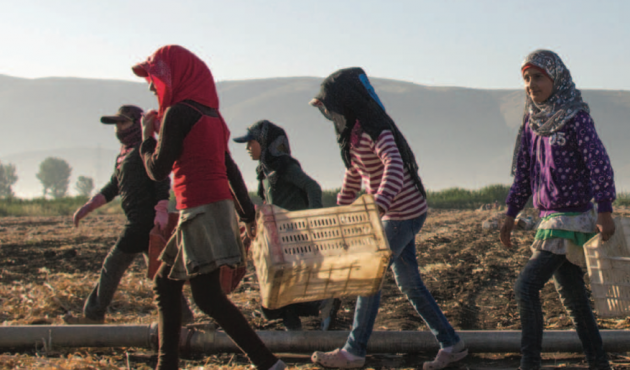 While there are a large number of organisations in Lebanon providing services and support to Syrian refugees, including Palestinian Syrians, efforts to curb the growing incidence of slavery and human trafficking are often uncoordinated, limited in their focus and do not always target those most at risk. This report sets out a pathway to deliver tangible and lasting change. It examines the different ways in which slavery is occurring among Syrian refugees in Lebanon and the multiple factors that combine to force people into situations of slavery. Addressing these risk factors will require the commitment of a broad range of stakeholders, including the Lebanese government, international governments, international organisations, NGOs and donors. An Arabic translation of the executive summary and recommendations is available here.